Maybe learning to survive a hostile alien world wouldn't be so bad...well, not if it was this pretty. 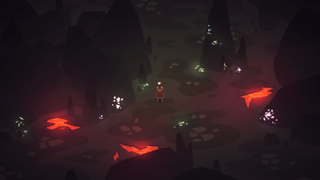 Otherworld is a beautiful action-adventure game that is procedurally generated—every playthrough is different, and the world formulates itself randomly. In order to survive and learn more about its biomes, towns and ruins, you'll use a combination of combat, crafting and dungeon crawling. You'll also meet aliens, naturally, some of which will have their own religions, cultures, history, and factions. You can friend them, hire them...or become their enemies. Obviously, the game still has a ways to go, but we'll be keeping an eye out on it—and you can too, here and here.